Aqueduct cancelled today (Wednesday, November 27), which is good news for all the other tracks running because some of the $6-million in handle Aqueduct would have done today (based on last year's Thanksgiving Eve total) will end up in other pools. That includes my money, as a $2,990 Pick 4 carryover at Portland Meadows and a five-stakes program at Zia Park featuring the $300,000 Zia Oaks & $200,000 Zia Derby both entice. I don't mind playing lesser-known, out of the way circuits because Brisnet.com handicapping products include information to get you up-to-date on how tracks are playing vis a vis running styles, post bias, and hot trainers and jockeys. In looking at Portland Meadows and Zia it's no surprise that early speed does well but just how well is essential information for helping to find that multi-race wager single or the longshot that might be able to hold on for a piece of a vertical exotic. As a Pick 4 player I'm always looking for potential singles, and for me today at Portland Meadows the bankers appear to be #2 Slewnerorlater in race 6 (leg 1) and #3 Sportive in race 9 (leg 4). Incidentally, part of the fun of handicapping different tracks is acquainting yourself with different pedigrees and storylines. I had never heard of the sires Can't Be Slew and El Steve A Reno before looking at Portland Meadows today, and had I not looked at Zia would have had no idea that Jaycito is still running (though he scratched today). Anyway, Can't Be Slew's Slewnerorlater has raced at this $4,000 maiden claiming level four times-finishing second twice and third twice by a combined 5 ½ lengths. 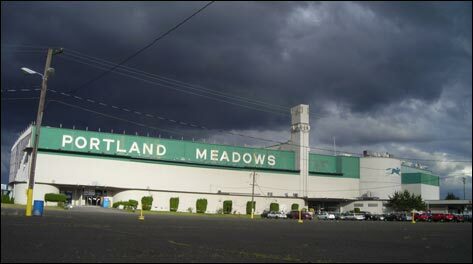 One thing I keep in mind when handicapping tracks like Portland Meadows is that this is a pretty insular meeting. You don't get a lot of shippers, so as the meeting goes on, the bottom-level conditioned claiming ranks get easier because the better horses win and move up. Slewnerorlater's Brisnet.com Class and Speed Ratings suggest he's faced better and run faster than these. Will he be a bargain in the win pool? Probably not, but I think we can trust him to start the Pick 4. The ninth race is classier-a $9,000 conditioned allowance-and the pick (the aforementioned Sportive) totes co-highweight of 124 pounds, but he is as fast as any of these early with the added bonus of the top late figures. His last three wins have come 4 ½ lengths back early, gate to wire, and pressing the pace 1 ¼ lengths back. I don't know a lot about the Portland Meadows jockey colony, but Eliska Kubinova's 21% strike rate at the meeting and a win aboard this one at this leve last time tells me she can place him appropriately. As of right now one of Slewnerorlater and Sportive will have to win for me to win, and if both win hopefully I'll hit it multiple times. I'll definitely be spreading in the middle legs, but a couple horses there caught my eye for straight spot plays if the odds are right. In race 7 (leg 2) #8 Defend Liberty is 6-to-1 on the morning line and gets fast footing after catching off going while hung wide going short last time. Six furlongs definitely seems more his game (7-for-20 at the distance and 2-for-10 otherwise). In race 8 (leg 3) #2 Snuffin easily looks the speed of this group, and she sheds weight facing older males. If Rigoberto Velasquez has moved her up off the claim two back (27% 2nd off the claim) then she could runaway and hide from these at a nice price (6-to-1 morning line). 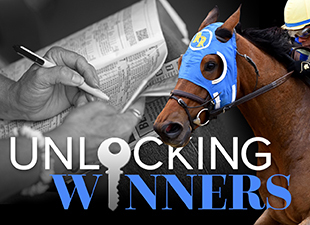 For in-depth analysis of Zia, I invite you to tune into Horse Racing Radio Network at 4 p.m. ET for live coverage of that track's Derby, Oaks, and Distance Championship, but even before we go on the air, the $140,000 Eddy County Stakes for two-year-old New Mexico-bred fillies is worth checking up on as the undefeated That's the Idea stretches out to a mile after three wins by a combined 25 lengths sprinting. The race drew seven, but three scratches leave just three foes for the Diabolical filly who has earned consecutive 96 Brisnet.com Speed Ratings and towers over this field on whatever numbers from the Ultimate PPs you want to look at. It wouldn't shock me to see this one change hands with another big win. So that's not bad action for a Wednesday sans New York and California racing, eh? There's plenty to look forward to on both coasts and everywhere in between this weekend, though, including a $34,472 Pick 5 carryover on Thanksgiving at Golden Gate Fields, and Grade 1 racing on Friday at Churchill (Clark Handicap), Saturday at Aqueduct (Cigar Mile), and Sunday at Hollywood (Hollywood Derby & Matriarch Stakes).